It looked like qualifying would be Hamlet without the Prince. But we had a Prince, just not the one anticipated. The pretender stepped up. 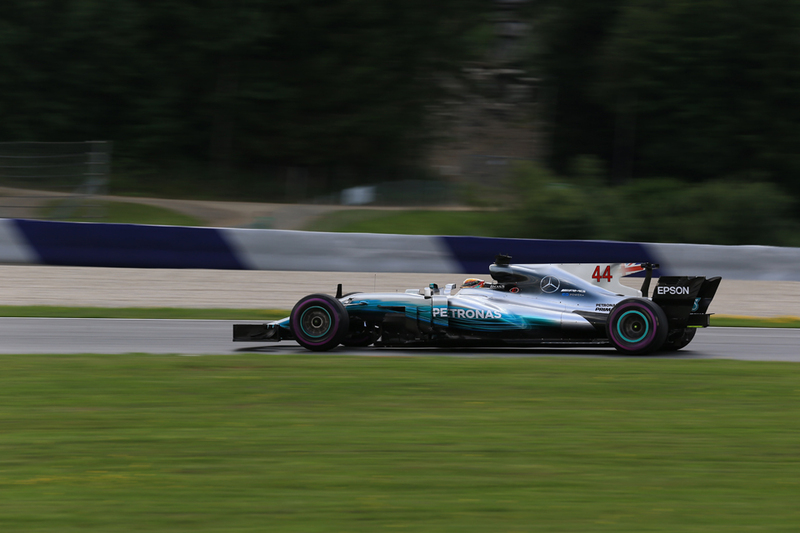 Yesterday around Austria's Red Bull Ring Lewis Hamilton looked on a plateau. Easily quickest in all circumstances it seemed. Enjoying a Mercedes that seems now shorn of its diva leanings; happy on all tyre compounds. Yet after the day's running we found out it was not quite as it seemed, as gearbox damage from Baku (no, not due to that) meant that wherever Lewis 'qualified' in Austria he'd add five to the number. 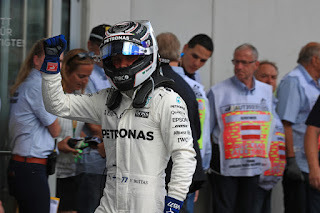 Thus the qualifying hour became a lot about his team mate Valtteri Bottas. The onus was on him to tape up pole instead, not only for himself but to help his colleague. He did his bit. Lewis didn't. 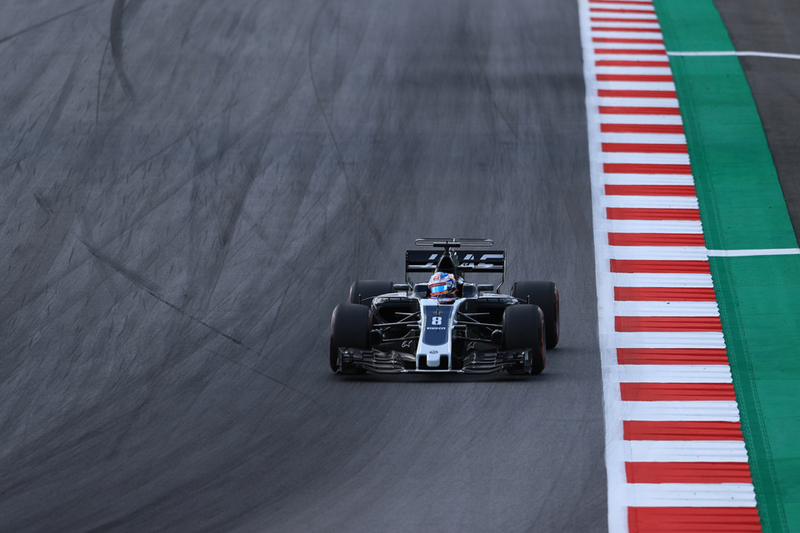 In the first goes of quali's final part the Finn posted a decent 1m 04.251 to top the charts, though his lap was by no means perfect (he did get a nice tow from a Force India however and aced the second part of the lap). Lewis after a scrappy run posted a 1m 04.424. Worse it allowed the perennial Sebastian Vettel to sneak between them. And that it transpired was that. Romain Grosjean parking on track as all were winding up for final efforts ended things early. But Lewis, scrappy again, already had abandoned his second effort. His 'third' place therefore converts to eighth on tomorrow's starting grid. Such things always are anti-climactic, but they remind us that it's scores on the board that count for most. F1's bottom line. "Valtteri has been quickest all weekend," Lewis suggested afterwards. The Finn indeed has been on form. It tells only part of the tale though. 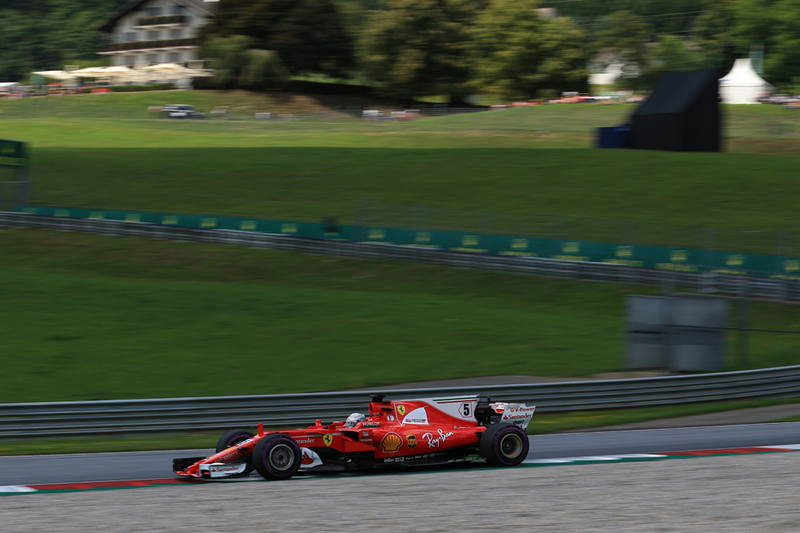 Given the small base one should also be cautious with such statistics, but since F1 returned to the Red Bull Ring in 2014 today made it three final qualifying efforts from four here that Lewis has messed up. Ironically enough the only one he aced was when it rained. As Anthony Davidson suggested though, after a weekend wherein 'Seb vs. Lewis gate' talk was never ending there was something appropriate about the imperturbable and undemonstrative Valtteri coming through the middle of them to get the job done for pole. 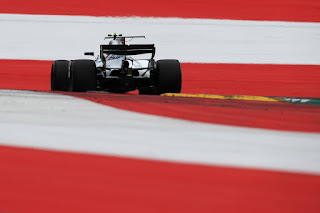 “We definitely got the car really nice and stable for qualifying," Bottas said later. "I was just able to build up the confidence, and this is a track where you need it in high speed corners. "On the balance, we didn't really touch the car at all during qualifying, and the laps were getting better and better as a result. "So as a team we have done a great job over the weekend to get the car better and it felt good today." It looked for a time that Mercedes would have a demonstration run. Friday we've mentioned, and while Ferrari as standard topped FP3 on Saturday morning we know fine that Merc tends to retain something. As standard it turned its volume up in Q2. 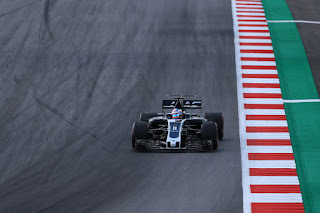 First Lewis stunned all by setting a 1m 04.800 on supersoft tyres, then Bottas whizzed round to top the charts with a 1m 04.640 (he later went even quicker) on ultrasofts. The rest were behind. It means too that Lewis is on a contra-strategy tomorrow. He'll need it. Bottas thus entered the final part of qualifying with near enough a half a second in hand over the rest, led by Vettel. And in the end he did, just, enough, pipping the Ferrari pilot by four hundredths. Seb was content with his near-at-hand P2 start however. "Not quick enough!," he said smilingly. Kimi Raikkonen took a fourth spot that becomes third, his usual respectful distance behind his Scuderia team mate - this time near enough half a second, and on a short lap. While Daniel Ricciardo was only a tenth shy of Kimi in getting fifth that becomes fourth, which was around his maximum. His team mate Max Verstappen was another to have a very scrappy time, trying to squeeze three Q3 efforts in on the short lap. The frenetic approach might have been part of the problem - all his flying laps looked suitably flustered. Even more suitably he ended his last one in the gravel. Nevertheless he'll start a place behind Ricciardo. Romain Grosjean has looked a clear best of the rest (i.e. behind the usual suspect top six) all weekend and, despite his late stop, made good on it by claiming seventh on the grid which converts to sixth. The other Haas of Kevin Magnussen may have been in that vicinity too but his suspension collapsed in Q1 - the latest to fall victim to vicious local kerbs. The Force Indias as usual, and as usual at this track, showed up well and the pair was next up, Sergio Perez ahead. Perhaps another suitable thing is that the demoted Lewis keeps the warring duo apart on the grid. Carlos Sainz, who's had his own embattled time of late - getting a dreaded Helmut Marko shot across his bows - completed the top ten. That he's four places and three tenths ahead of his Toro Rosso team mate Daniil Kvyat answered one of Marko's jibes precisely. The Williams meanwhile both barrelled out in Q1. This at a track that was supposed to suit its car. This at a track where it actually it locked out the front row three years ago. Today it only beat the Saubers. Its upgrades for this weekend appear to have backfired. Back at the front, today's action should only be the start of things, and for the same main reason why that was the case today. Lewis tomorrow starts the race out of position and you'd imagine will come through the pack if he stays out of trouble, as his latent pace advantage should make itself felt. 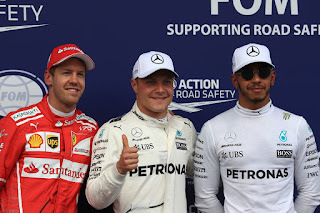 Friday running indicated that Merc if anything is further ahead of the rest in race conditions. Overtaking, while never easy, at least is on the agenda here. But staying out of trouble is a conspicuous 'if', as this is a place where carbon fibre shards are created often, particularly early on. Then again in 2014 here from starting ninth Lewis in a blink was fourth. Yet even with all of these Bottas surely starts as favourite in the normal run of things. The plan will be to do his team mate - and himself - a favour just as he did today. And he knows it. "It should be an interesting [and] good fight tomorrow," Bottas noted after claiming pole. "The target is not less than winning of course." Both Merc pilots denied also that any sort of 'backing up' by Bottas to aid Hamilton is planned. "From what I have seen in the pre-race strategy notes, that kind of plan is not on those notes," Bottas continued. "We need to focus on trying to have a good start to the race and we need to win the race. "Lewis can fight back from where he is starting...."
Indeed. As with quali, while this story may or may not have Shakespearean bent, this story still has a way to run.